The Drew Chapin Memorial Scholarship for Change memorializes Drew Chapin, now deceased, a 2003 graduate of GCHS who lived his life consciously and was committed to family, the pursuit of knowledge, respect for all persons and cultures, peace, and celebrating life. The scholarship honors Grayslake Central High students who are knowledgeable about national and international social problems and have a personal philosophy about what actions they might take to improve some aspect of our world. The recipient is someone who brings humor, energy, hope and compassion to everyday projects and every human interaction. Recipients receive a $2,000 stipend. GCHS seniors interested in applying for the scholarship can pick up an application form in the GCHS Counseling office. Save the date for this summer’s Drew Chapin Memorial Jazz Jam and Concert! @ the Grayslake Central Park Pavilion. Drew Chapin spent all his school years in Grayslake, graduating among lifelong friends in 2003. Known as Mr. Hustle to his soccer and basketball teammates, Drew attacked music, acting, academics, service projects, sports, and goofing off with equal intensity. Celebrating life through dance, music, and being barefoot as much as possible. activism. Drew was the President of People for Peace, a member of Love Out Loud and International Club, and a devoted International Pal. Study abroad took Drew on a service project to Calnali, Mexico in February 2004. That summer he arranged a job teaching English to 4th and 7th graders in Istanbul, Turkey. 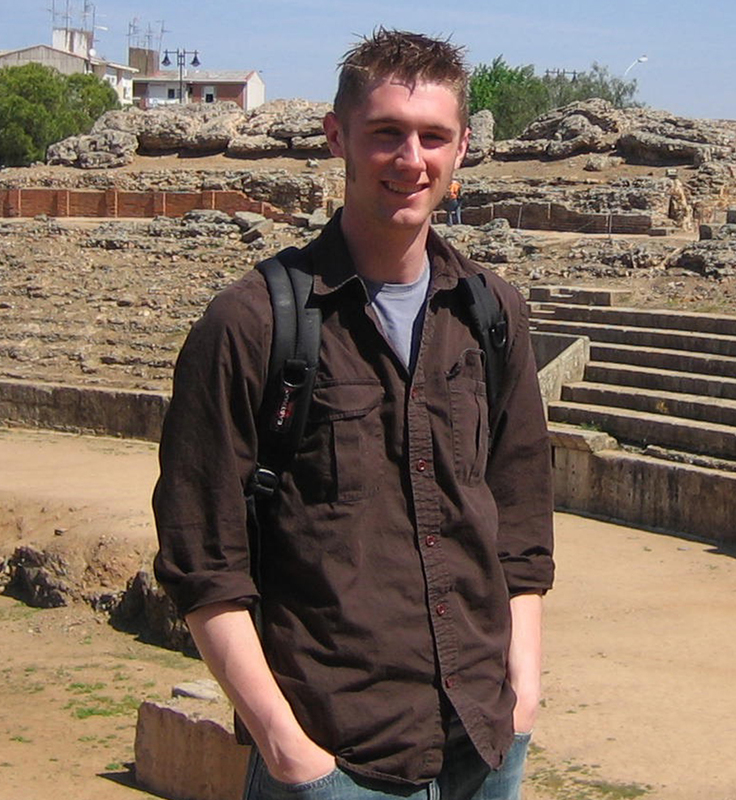 By spring semester 2005 Drew was one of only two Americans studying at the Universitie Castille de la Mancha in Ciudad Real, Spain. At the time of his death he was fluent in English and Spanish, conversational in French, and had learned quite a lot of Turkish and Italian. You’d never know this young man began his school career a year late due to a speech impediment! Drew was killed when an unconscious driver hit his bicycle August 21, 2005, less than a month after his 21st birthday. His last hours were spent at his beloved alma mater playing tennis with his best friend. He is buried adjacent to those Grayslake North tennis courts. Drew wanted to change the world one person at a time. This scholarship is a small attempt toward fulfilling his dream of doing just that. Click here to use your credit card to donate directly to the Drew Chapin Scholarship Fund through the Grayslake Central High School (GCHS) District 127 online store. Your contribution will go directly into the GCHS Drew Chapin Scholarship Fund account. Make a check out to Drew Chapin Scholarship Fund and bring it to the next Memorial Jazz Jam Concert. We also accept cash. Besides paying tribute to Drew Chapin, proceeds from this fund-raising effort go to the Drew Chapin Scholarship for Change which annually provides $2,000 scholarships to Grayslake Central High School seniors. The Drew Chapin Memorial Jazz Jam and Concert, hosted by the Grayslake Park District, raises funds for the Drew Chapin Scholarship for Change. At this annual event in August, community members, area professional musicians, and students from the Grayslake Jazz Combo Workshop perform and improvise over jazz tunes. The Drew Chapin Memorial Trio, with Tony Bussone on drums, Bill Chapin on keyboard, and Paul Nielsen on bass, anchor the rhythm section; but before the night is over many performers grace the stage. In recent years, more than 40 performers joined in to improvise over the closing tune, Watermelon Man. We are proud to list the following recipients of the Drew Chapin Memorial Scholarship for Change. All of these young people exemplify the qualities that Drew pursued in his life.